Olivia Shaw’s whole life changed when she started menstruating. Although previously classified a genta, starting menses identified her as a caricae, one of the few women capable of gestating in this post-fertility crisis world. In the Syndicate, classification as caricae, means a life of forced-childbearing, locked away in protective custody. Rather than submit to that, Olivia has carved out a wary life on the fringes of society hiding who she is and masking the pheremones that would give her away. She has her cat, her three stools at Yoshi’s bar and bodily autonomy. She works as a Whisper, accepting covert assignments, risking her life for a payoff, asking few if any questions about who hires her to do their dirty work. Her riskiest assignment yet sends her across the border into wilds of the Quillian Empire for a seemingly simple assassination. Galen and his sister Sabine transformed themselves when she inherited the throne. She traded in her brushes for verbal barbs and he put away his delicate paper crafting for art of warfare. He has become the Red Wolf, dedicating his whole life to securing his sister’s throne. Yet he almost loses his life in the place he least expects to, the backwoods borderland he grew up in, at the hands of fellow Imperial soldiers and in that unexpected and confusing moment, Olivia lands in his life. He is intrigued by her daring, and her determination to survive even before he learns her secrets. The longer he spends around her the more dangerous his attraction and interest in her becomes. They must work together to escape the woods but he doesn’t want to let her go when they do. 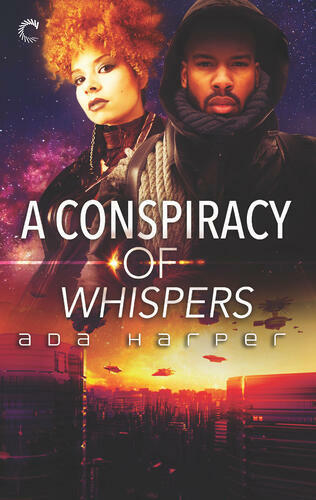 Life-changing secrets drive the action of this series by Ada Harper for Carina Press but it is the inclusiveness worldbuilding and diversity of the cast that caught my attention and made me fall in love with this world. Reading it felt like watching a very good and fast-moving science-fiction blockbuster movie once it got going. It did take a couple of chapters for it to get going, but it was time well spent on worldbuilding. 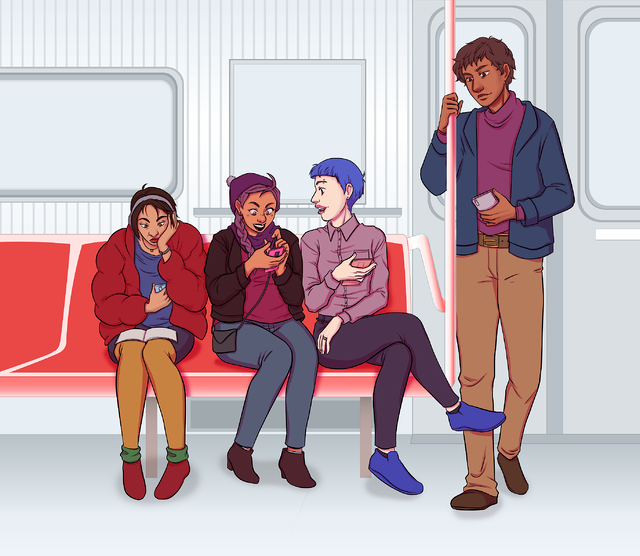 The story is centered on bodily-autonomy, the ability to make choices about ones body and how that affects one’s whole life, from career, to friendships and romantic relationships. This exploration is packaged in fantastic tropey goodness, as this story features tons of tropes I adore including but not limited to: a prickly heroine, a smitten hero-in-pursuit, forced proximity, pining, political intrigue, enemies-to-lovers, secret royalty and fabulously queer found family. Perhaps it was the fact that he’d asked when Olivia hadn’t. Perhaps it was the fact that he had every privilege: altus power, status, wealth, every excuse the world could give him, and he’d asked. Asked in such a hungry, fragile way that made her answer matter. It was all that and a hundred things she couldn’t name that shot desire like liquid heat down her spine, made her suddenly certain she wanted nothing more than for this man to start kissing her and not stop. Made her so certain that it was hard to breathe around the want she kept bit between her teeth. In a world where genetics, pheromones and affinity bonds (platonic or romantic) define a person’s value, I loved seeing Olivia and Galen carve out an authentic relationship in defiance of what is prescribed to them, one where always consent matters. And it was just so swoony. I am a huge fan of prickly heroines and the heroes who fall hard for them. An Galen is head-over-heels for Olivia, while she is deep denial of her feelings and attraction to Galen. I hurt my finger underlining swoony declarations from Galen. "He’d follow her to the ends of the earth. But gods, he wished she’d stop running out of the room every time he tried to talk." Like Galen I will follow Olivia, Sabine, Lyre and the rest of the cast to the ends of the earth and into the upcoming book, A Treason of Truths, because although Galen and Olivia make their HEA in this book, there is so much more resolve and discover and I can’t wait to read it. CW: Threats of sexual violence, War Violence.